February 27th is the end of the journey. 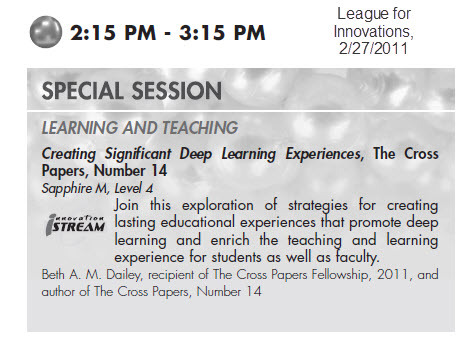 I will be sharing some ideas from the work I have been doing on creating significant deep learning experiences as a part of the Cross Paper Fellowship. Cross Paper, Number 14 is complete.